From Kansas Ag Connection on November 9, 2018. The 2015 UN Paris Climate Accords brought energy regulation’s role in climate change to the international forefront. And even though the United States has since withdrawn from the agreement, energy development decisions both here and abroad have consequences felt around the globe. A University of Kansas law professor has co-edited a new book that is one of the first to examine energy justice, or how energy policy affects those beyond the decision makers. 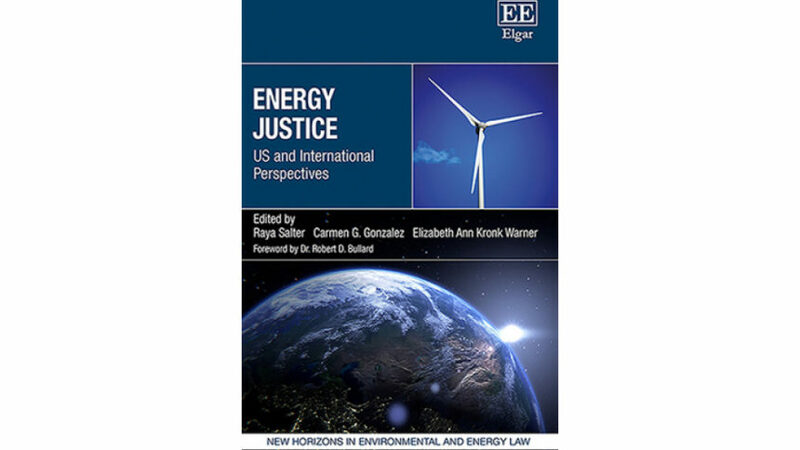 “Energy Justice: International and U.S. Perspectives” examines recent energy decisions by both industrialized and developing nations, their effects and how future energy policy, whether regarded as renewable, “green” or part of traditional sources, can be undertaken justly. The book was edited by Raya Salter, principal, Imagine Power LLC and adjunct professor at Fordham University School of Law; Carmen Gonzalez, professor of law at Seattle University School of Law, and Elizabeth Ann Kronk Warner, KU professor of law and director of the university’s Tribal Law & Governance Center.